A former Wales rugby international who took part in a £2m tax fraud scheme with three others has been given a 20-month suspended sentence. Simon Hill, 50, who played on the wing for Cardiff and Bridgend, stood to gain £209,180 from the scheme, Southwark Crown Court heard. Hill, now a dentist in Llantwit Major, Vale of Glamorgan, pleaded guilty to fraud by false representation. The scheme involved a company taking advantage of tax breaks for filmmaking. It was uncovered by an investigation from HM Revenue and Customs. Hill, of Wick, Vale of Glamorgan, was introduced to the scheme by accountant Simon Osborne while he was treating him at his dental practice, the court heard. Hill invested in a company called Formula 1 LLP, which involved claiming false tax rebates for a film featuring F1 racing stars which was never made. Osborne, 58, of Llantwit Major; Roderick Bond, 59, of Sale, Greater Manchester; and Lee Palmer, 45, of Kremlin Drive, Liverpool; were convicted of fraud by false representation and jailed for two years and eight months. The court heard that the scheme was devised by accountant Terence Potter, 58 - who had helped to market the George Clooney film Three Kings - and had been assisted by financial planner Neil Williams-Denton. Potter had set up three companies, one of which made a film, although the other two never did. Potter, who lived in Monaco, admitted conspiracy to cheat the public revenue and was jailed in December 2015 for eight years; while Williams-Denton, of Greenmount, Greater Manchester, was convicted of the same charge and jailed for six years. Southwark Crown Court was told that a tax loophole had allowed investors to claim back losses against the company's business plan, which stated: "Tax savings estimated at £40,000 for every £20,000 of net cash subscription." "In other words, the investors were told that for every £1 they put in, they would get £2 back," said Jane Bewesey, prosecuting. "They were told they could double their money. As high earners liable to pay considerable amounts in tax this was a significant attraction." The judge, Joanna Korner, said: "I find that their motive for this fraud was personal gain - the investors did not want to pay the tax they rightfully owed as high earners. "Those who are high earners are expected not only by the government, but by the public, to pay the tax they owe." 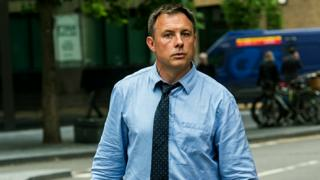 Hill, who played for Wales five times in the mid-1990s, was spared prison because of his early guilty plea and his decision to pull out of the scam in September 2013, while the others continued, the court heard. As well as the suspended sentence, he was ordered to complete 300 hours of unpaid work.